In March, share a favorite quote or motto. Where to start, right? There are so many good quotes and life mottos that spring to mind, that it’s rather difficult to pick one. And how can you explain to the recipient the significance of that quote to you? So… I’ll try to go first. In one of his books, American writer Kurt Vonnegut introduces his uncle Alex, who would often complain that human beings rarely noticed when they were happy. So, in order to notice and appreciate those moments, now and then he would interrupt whatever he was doing and exclaim “If this isn’t nice, I don’t know what is". I liked this idea so much that I adopted it as my own motto and started doing it as well, pausing briefly every so often to acknowledge my own happiness. It’s amazing how many simple moments throughout the day are sources of contentment and gratitude. What about you? Which quotes have stuck with you, or which words do you try to live by? Share them on the postcards you send out this month! Previously on this series, we’ve talked about musicians and writers, but what about other artists from your country? Are there any inspiring (past or present) visual artists whose work you find interesting or iconic? In February, write about a visual artist from your country. Ok, I’ll go first! 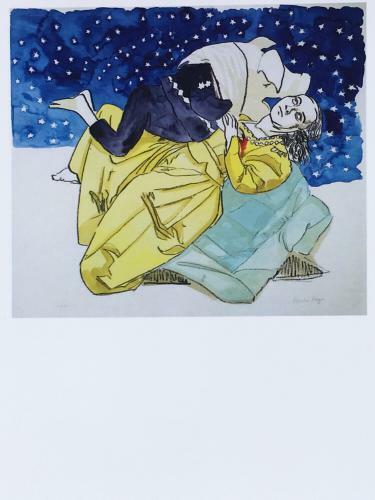 One of the most striking Portuguese-born painters of our time is Paula Rego. Her works are often unsettling and raw, maybe even grotesque… and yet so full of power. They feature strong female characters prominently, in a clear drawing style that blends fantasy and realism by mixing fairy tales, folklore and political issues. The result is an indescribable imaginary universe, that feels very much a part of our national artistic heritage. What about your country? Are there any painters, photographers, filmmakers, designers or other artists you’d like to spread the word about? 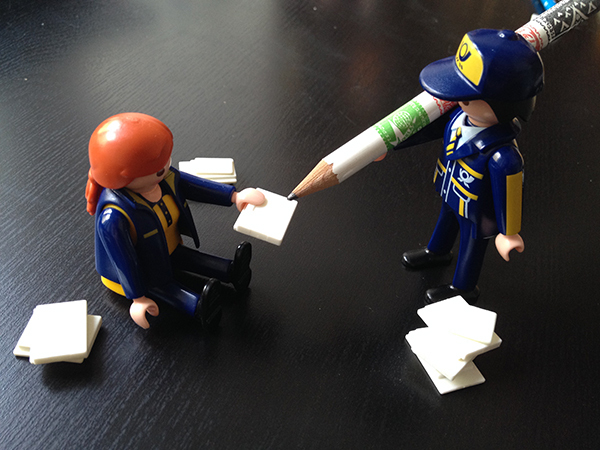 Let other postcrossers know about them in the postcards you send out this month! January Writing Prompt: three things about your country... with a twist! Happy New Year, everyone! May your mailboxes be filled to the brim with happy postcards this year! Portugal has the second longest bridge in Europe. It never snows in Portugal. Portuguese is an official language in 10 countries. So, what do you think? Did you guess the fake fact there… or did you really believe that there is no snow in our little southern country? We do have a couple of big mountains, and it’s cold up there — you can even ski in one of them! And yes, we do have a 13km-long bridge and Portuguese is the 6th language with most native speakers in the world. This was a surprisingly tricky prompt to write though, inviting some reflection on our own stereotypes and even a request for help from other Portuguese postcrossers. Which true and false facts will you mention on your postcards this month? The writing prompts are an ongoing experiment that invites postcrossers to write about a different topic on their postcard’s messages every month. These are just suggestions though — if you already know what you want to write about, or the recipient gives you some pointers, that’s great too! In December, write about a holiday celebrated in your country. Sounds easy enough, right? 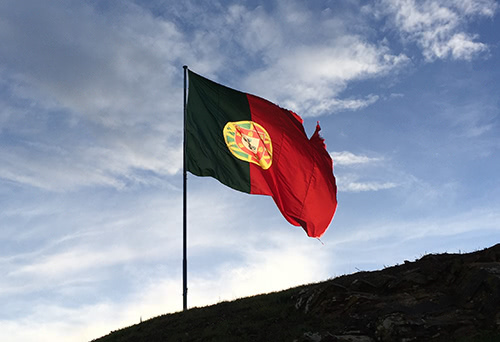 And as luck would have it, yesterday was actually a national holiday in Portugal: we celebrated the 378th anniversary of the Restoration of Independence. Back in the 16th century, Portuguese King Sebastian mysteriously disappeared in a battle in Morocco. He was young and didn’t have any children, so a succession crisis ensued and in the aftermath of it, the Spanish crown ruled Portugal for 60 years. They were overthrown by a revolution that took place on December 1st 1640, in which the Portuguese independence was restored. How do we celebrate this day? Naturally, there are some official commemorations taking place in the capital… but in my household, December 1st was celebrated as “the earliest day in which it is acceptable to make the Christmas tree”, according to my parents. So we were always busy doing that! So now you know a bit more about the history of Portugal (and my home)! What holidays are special to your country that you could write about in your postcards this month?